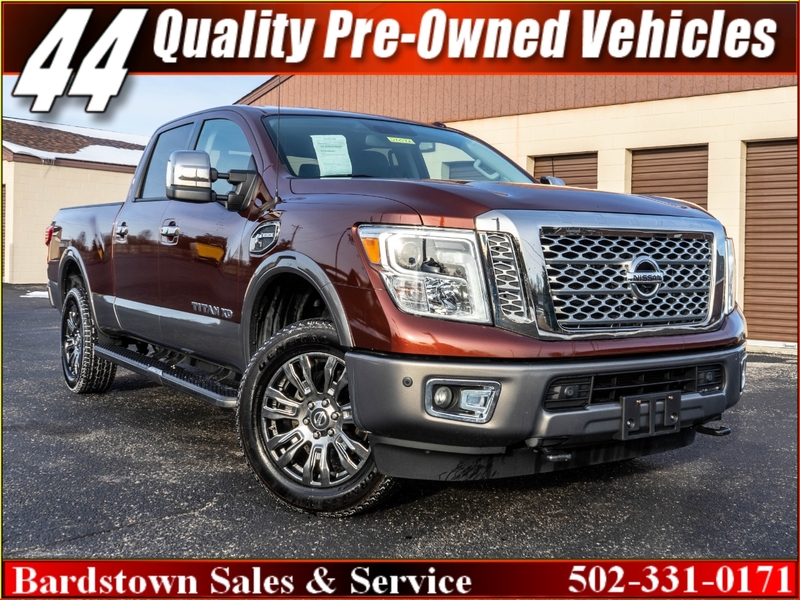 https://44automartbardstown2.com Low Miles, Autocheck Certified 1 Owner/0 Accidents, Crew Cab, XD, 5.0L Cummins Diesel V8,CALL OUR BARDSTOWN SALES & SERVICE STORE 502-331-0171 FOR DETAILS!! Get the feel of this one as it won't be around long! Hurry it is priced to sell fast!! WE ARE A FAMILY OWNED AND OPERATED DEALERSHIP WHO HAS BEEN IN BUSINESS SINCE 1988. WE CURRENTLY HAVE OVER 300 QUALITY PRE-OWNED CARS & TRUCKS! IF WE DON'T HAVE IT, WE WILL LOCATE IT FOR YOU! SEE OUR ENTIRE INVENTORY AND INVENTORY DISCLAIMER AT www.44automart.com CALL OUR BARDSTOWN SALES & SERVICE LOCATION 502-331-0171 FOR DETAILS. Message: Thought you might be interested in this 2016 Nissan Titan.